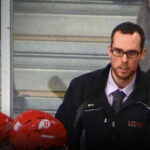 University of Utah Hockey would like to welcome and congratulate Brett Huras as the next Head Coach of the hockey program at the U. Prior to his collegiate playing career, Brett played for the GCK Lions and HC Lugano (Swiss Junior Elite A) and for the Elmira Sugar Kings of the Greater Ontario Junior Hockey League (GOJHL) alongside Assistant Coach Kevin Labatte. Throughout his Junior career Brett was also a member of the French National U16, U18, and U20 hockey programs. Brett attended St. Lawrence University (NCAA Division I) in Canton, NY and walked on to the team as a Freshman where he played for Joe Marsh (482-418-75 NCAA DI Record). He later transferred to SUNY Geneseo (NCAA D III) in Geneseo, NY and played for Chris Schultz (132-95-11 NCAA III record, 2013-2014 Division III coach of the year). During his final semester of college, Brett was an intern for the Rochester Americans of the American Hockey League (AHL). Career playing highlights for Brett also include attending 2 professional training camps with HC Lugano (Swiss A League), 1 with EHC Chur (Swiss B League), 1 with Tours (French Ligue Magnus). He played 4 exhibition games for HC Lugano (Swiss A League). Played Semi-Pro with GDT Bellinzona (Swiss 1. Liga). After college, Brett worked as a part-time player agent for 2 years helping place North American players with European Clubs. 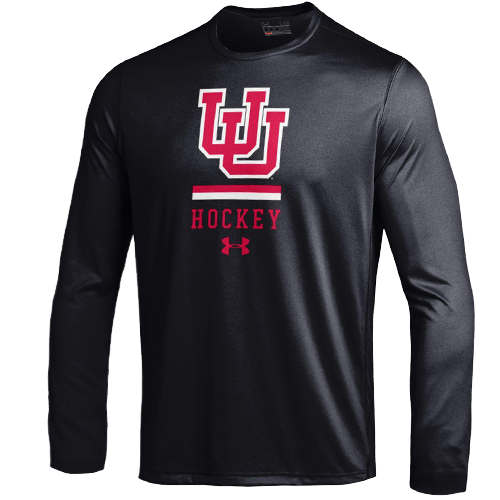 In 2014-15 he was an Assistant Coach under Jon Bertagnolli for the University of Utah Skatin’ Utes. Utah Hockey would like to congratulate Brett and wish him the best on the upcoming season. Custom Jersey Program is Back!